Is authenticity in social media an infallible truth? 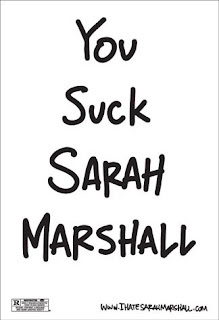 The campaign includes a phony blog, in which one of the characters in the film writes about how Sarah Marshall has broken his heart. Rayanne Langdon, who works with us here at com.motion, wrote a post on glossblog, where she gave the campaign a thumbs up because it raises awareness and gets people talking. To be sure, the No. 1 rule in social media marketing is that transparency and authenticity must prevail. But once you know the rules, isn’t it okay to break them once in a while? After Corey became a worldwide bad-boy celeb, the Aussie blog Random Brainwave set up a MySpace page pretending to be Corey. Media called seeking interviews; the Random Brainwave guys complied; and their website got loads of attention and (presumably) loads of new readers. No, they weren’t transparent. No, they weren’t authentic. But as a fringe website, they could get away with it where a big brand, like say, Wal-Mart, could not. I’m usually the guy telling my clients that authenticity is critical. And 99.9 per cent of the time, it’s the absolute truth. But aren’t we still too early in the evolution of social media marketing to be talking about indisputable truths? i didn’t see the sarah marshall blog from the beginning so i’m not sure if it’s the same now as it was then, but when i checked it out last week i couldn’t see how anyone would think it was authentic. the actors photos are on the blog. he is an actor. i recognized him immediately. the name on the blog is a character name not the actor’s real name. same with the photos and name for “sarah”. seems to me they figured it would be fairly obvious that it was a fun, promo blog. maybe it was more subtle when this blog first started out? otherwise, i don’t see the problem.